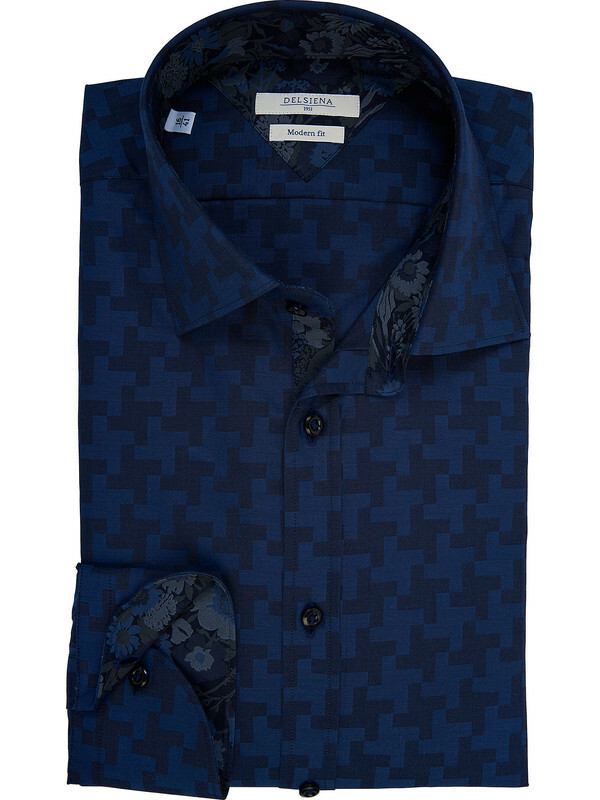 Del Siena Blue men shirt with geometric jacquard blue pattern. The jacquard motifs of this DELSIENA collection presents designs of cool colors with low contrast and extremely delicate details. This is a beautiful shirt, very elegant and sophisticated that differ significantly from the classical ones. 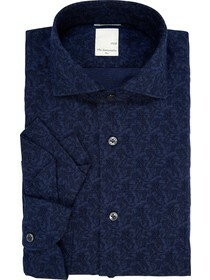 This blue shirt, in addition to presenting a geometric jacquard on the outside, also presents a contrasting blue floral pattern on the inside of the placket, cuffs and collar. The Collar of this DELSIENA shirt is soft classic open tips collar, a characteristic that makes this shirt even more modern. 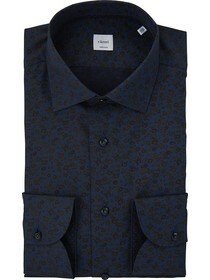 This shirt is not suited to be worn with tie or bow tie. 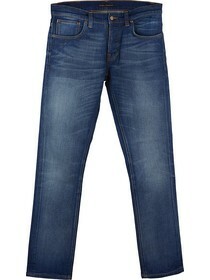 The fit of the shirt is "Modern fit", therefore has two darts on the back.